Add a touch of classic elegance to your home with this Morning Blush Quilt Pattern! 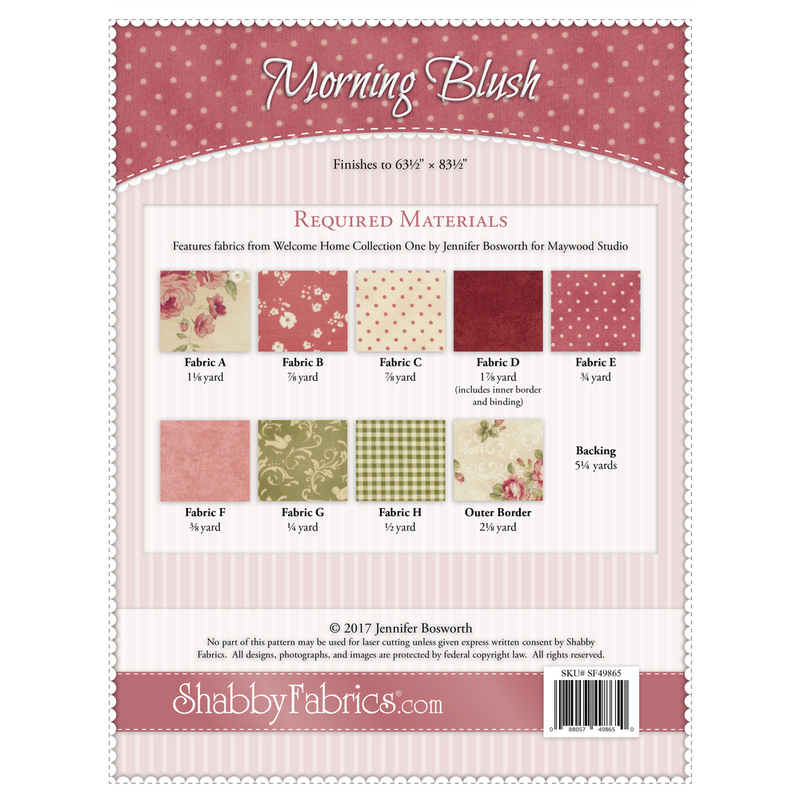 Morning Blush features basic piecing but will wow your guests with its complex look. This gorgeous quilt finishes to 63½" x 83½". Pattern includes full color diagrams!